Well, Californians basically rejected all of yesterday’s budget initiatives, and since they were mostly gimmicks I don’t really blame them. So what’s next? Beats me. There are legal, judicial, federal, and contractual limits to how much spending can be cut, and there are political limits (i.e., the Republican rump in the legislature) to how much taxes can be raised. The sums just don’t add up. 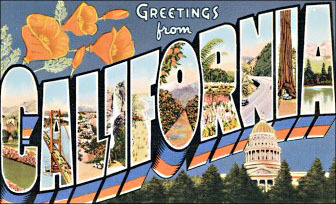 Historically, California has been a high tax/high service state. That’s fine. Some states prefer a low tax/low service model. That’s fine too. (It’s a lousy idea, I think, but fiscally it’s fine.) But over the past few decades we Californians have somehow concluded that we can be a medium tax/high service state. It’s a fantasy. Unfortunately, I’m not sure just what it’s going to take to jolt everyone out of their delusions. Stay tuned.